When Rodriguez removes his shirt, you can see the Virgin Mary in that mat of manliness. A slave to fashion, he kept his chest hair up that high so it looked like he was always wearing a bow tie. He never needed to wear a coat or sweater. As part of hazing, Mud Hens newcomers had to comb the crumbs out of Rodriguez's fur. 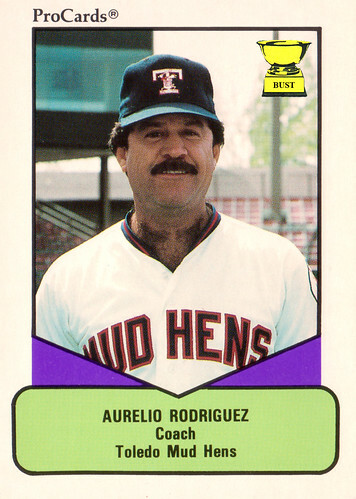 Aurelio Rodriguez fit right in in Toledo, Ohio. Bonus not-making-this-up fun fact: Rodriguez's card in the 1969 Topps set actually features a photo of Angels bat boy Leonard Garcia. 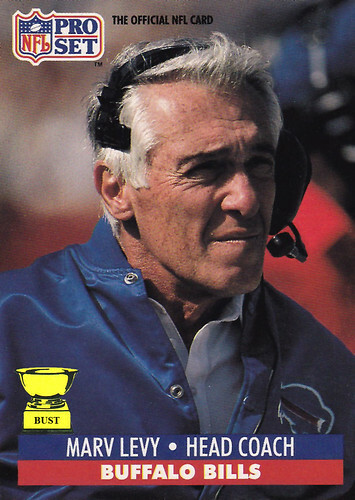 Heroes vs. zeros: In 1993, Upper Deck produced a subset called "Future Heroes" with cards featuring eight individual players, plus the above frightening checklist. 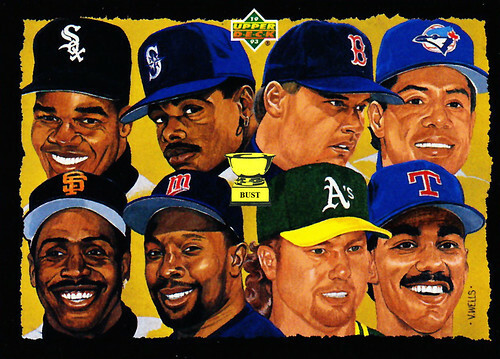 These guys were among the best in baseball at the time, but did they pan out as heroes? Let's break it down. The Good: .301 career batting average, 521 home runs. ... Was a South Side staple for 16 years. ... 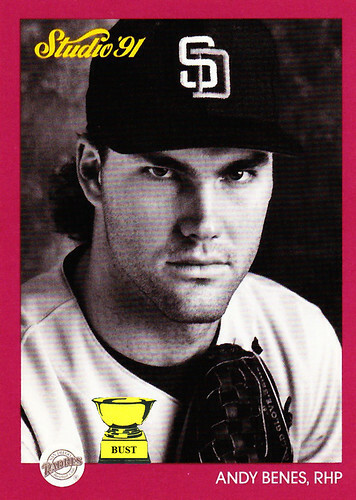 Advocated for drug testing in baseball as early as 1995. ... Had a video game named after him. ... Infectious smile. ... Awesome nickname. ... Hall-of-Fame lock. The Bad: Video game wasn't all that great. ... 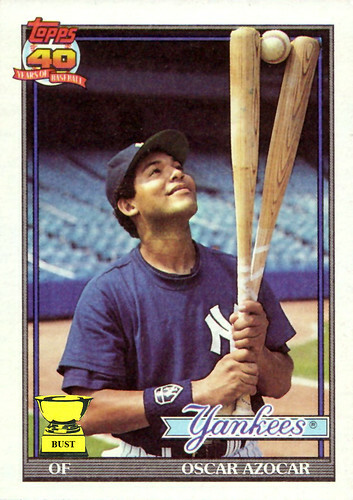 According to Baseball Card Bust, he was a ladies' man and played with explosives in his bat. ... Sour end to his time with the White Sox. ... That's pretty much it. The Good: .284 career batting average, 630 home runs. ... Some of the most spectacular defensive plays you'll ever see. ... Made the Mariners relevant. ... Drove up interest among young people in baseball (until the strike, that is). ... Released a series of wines to help fund charities. ... Had a series of video games named after him. ... Pretty good nickname. ... Hall-of-Fame lock. The Bad: Again, video games left something to be desired. ... Could have been the all-time home run king if not for all those injuries. ... Trade to the Reds stunned fans in Seattle and across the nation. ... 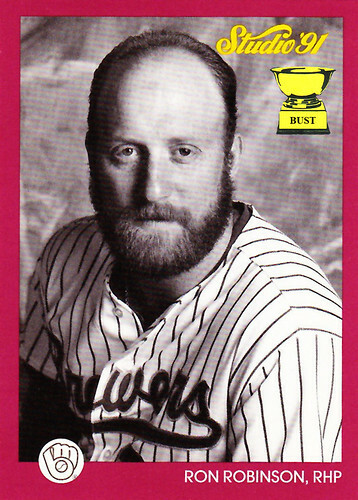 According to Baseball Card Bust, posed for a quasi-adult magazine and starred in a mind-numbing TV show. 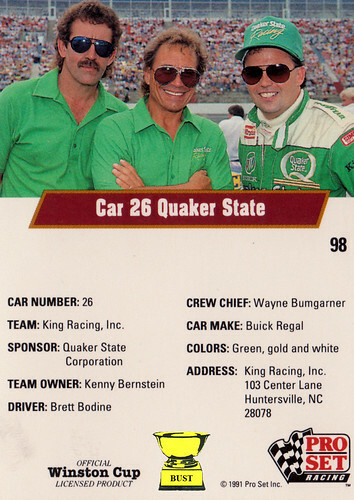 ... Looks kind of shady on this card. The Good: 354 wins, 4,672 strikeouts, career 3.12 ERA. ... Hmm, we'll have to get back to you on the rest. The Bad: Steroid accusations, adultery accusations, throwing-a-bat-at-Mike-Piazza accusations. ... Completely torqued off at least two fan bases (Boston and Toronto). ... Once threw at his own son in a game. The Good: .300 career batting average, 474 stolen bases, 210 home runs. ... Hall of Famer. ... Able to survive long winter nights in Canada. The Bad: Spat in an umpire's face. ... Accused by two women, including his wife, of not telling them he had HIV. ... Made his brother play catcher all the time. The Good: .298 career batting average, 762 home runs, 514 stolen bases. ... While in San Francisco, his head grew large enough to shade his teammates at third base and shortstop, which is pretty nice. The Bad: Steroids-palooza. ... Not exactly well-regarded by teammates, media, fans, children, dogs and four out of five dentists. ... Convicted of obstructing justice (and not David, either). ... According to Baseball Card Bust, was a career criminal. The Good: .318 career batting average and one of the most memorable World Series home runs. 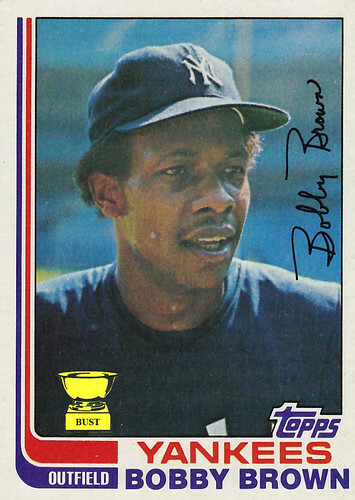 ... Excelled as a big-leaguer despite being only 4-foot-2. ... Known for community service (other than keeping area restaurants in business). ... Beloved by Twins fans. ... Hall of Famer. ... Name was Kirby. 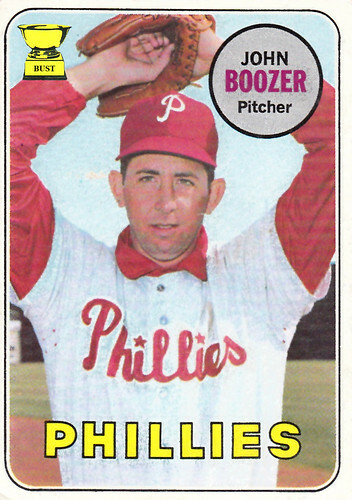 The Bad: According to Baseball Card Bust, became addicted to billiards and bad sweaters. ... Accused of abusing women who weren't Marge Schott. ... After retirement, couldn't stop eating, which contributed to his early death. 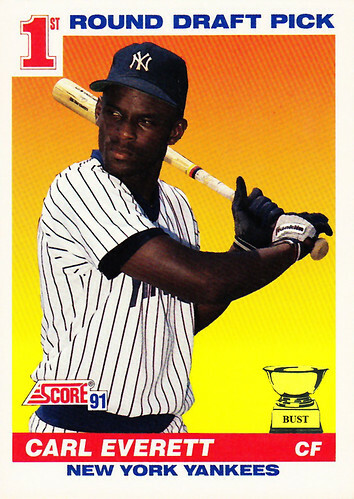 The Good: 583 career home runs, including a then-record-breaking 70 in 1998 that helped baseball recover from the strike scandal. 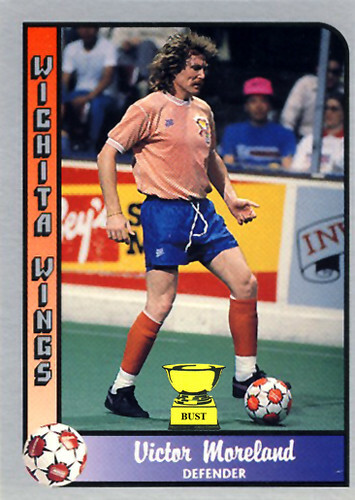 ... One of the most storied mullets in all of professional sports history (see the above card for proof). ... Survived a massive earthquake by playing baseball. 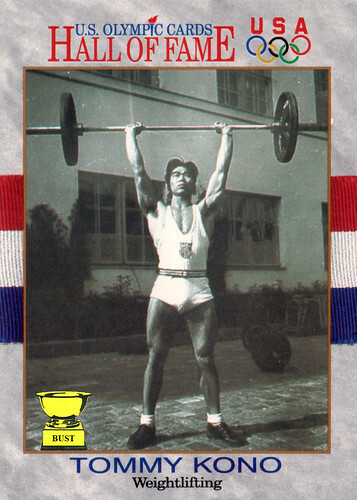 ... Appears to be depicted as one of the guys from Metallica on this card. ... According to Baseball Card Bust, was more patriotic than Uncle Sam and George Washington combined. The Bad: Steroids, steroids, steroids. ... Spent time with Jose Canseco. ... Undid all that good work helping baseball recover from one scandal by starting another. The Good: .295 career batting average, 434 home runs. 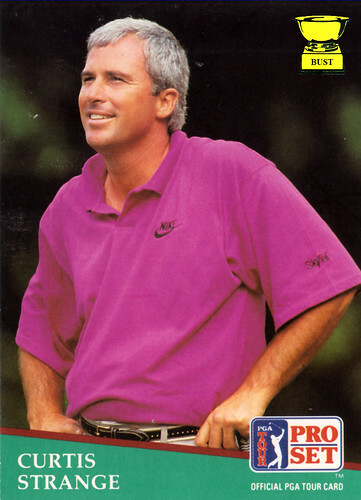 ...Overcame rough start in Puerto Rico that probably involved this slum lord. ... Pretty cool nickname. ... Even better mustache. ... And even better eyebrows, at least in the above card. The Bad: In the Mitchell Report. ... Been married almost as many times as Larry King. ... Friends with George W. Bush. ... 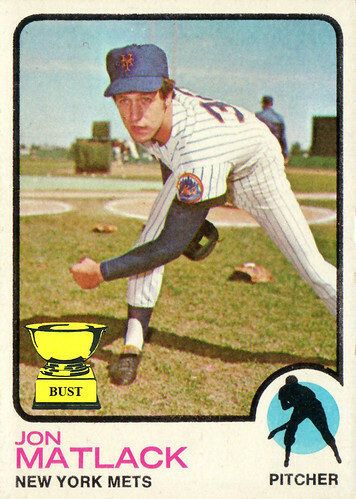 According to Baseball Card Bust, made a lewd gesture on a card. Synopsis: Congratulations if you're actually still reading this. 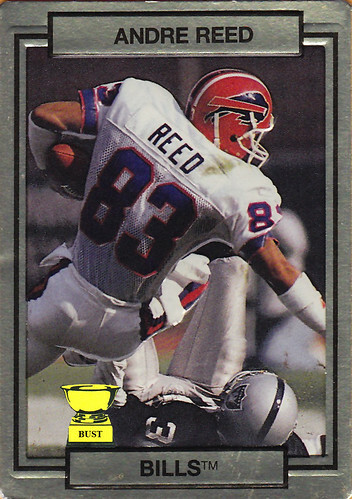 But no congrats to Upper Deck, which misfired on six of its eight "future heroes." Nice work, guys. What, you couldn't fit Rafael Palmeiro and Lenny Dykstra on here? 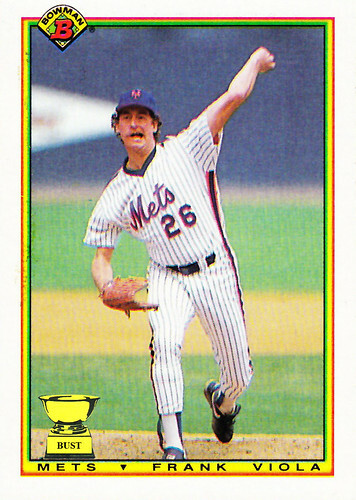 "Mets pitcher Jon Matlack wears skin-tight long sleeves while pretending so hard to throw a fastball that last night's plate of brisket comes out the emergency chute in one piece and lands on the grass several feet behind him. Matlack and his train engineer's hat were not injured in the incident, but the Mets are in the process of replacing their field's sod." Well, it's not like he was busy playing: What's Oscar Azocar doing here? Studio photog: "OK, Mr. Justice, if you want to go ahead and put the bat down, we can get started." 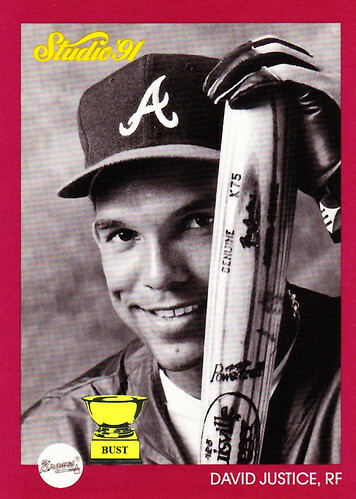 David Justice: "Peek-a-boo! I see you!" SP: "Ha-ha, that's very cute sir, but please, we've got Charlie Hough waiting, and we're not sure how much longer he can stay awake." SP: "Mr. Justice, please, this is ridiculous. Can we just act like adults and get some photos taken?" DJ: "Peek-a-boo! There you are!" SP: "Yes, here I am, and here's my middle finger. Now, stop it!" SP: "Fine, you don't want to have a nice, personable photo like the rest of the guys in this set? You want to look like an idiot? Fine." SP: (Snaps photo) "This guy's even worse than that dude who looked like an owl." 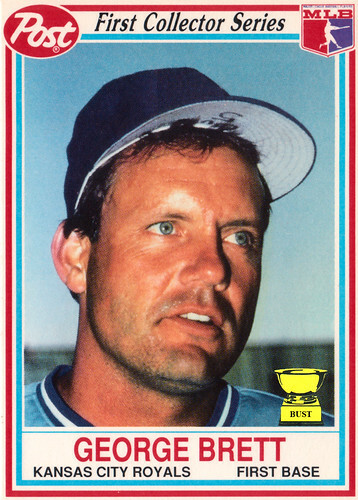 George Brett's train of thought, 11:02 to 11:04 a.m., March 7, 1990: "Damn these Florida beaches and their enticing blend of tequila and samba. ... 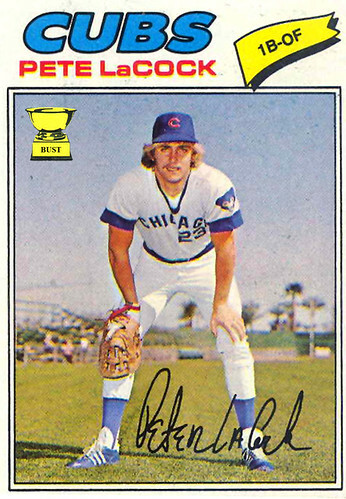 Wait, today's baseball card photo day? Crap, I'm sweating like Cecil Fielder in a sauna. I didn't shave, I haven't showered in three days and I'm so hungover right now, the sky looks purple. ... Phew, it's only the crappy insert cards they're shooting today. Nobody will ever see these and distribute them on a poorly written and produced electronic medium two decades from now. ... Hey, if these guys are going to smudge out the logo on my hat, maybe they can get rid of the bags under my eyes and the dried puke on my collar. Maybe I won't look like America's swarthiest man, after all!" Is that top made out of felt? Just enough taupe to make you Google "taupe"
No baseball player enjoys dressing like a woman. Well, at least not on the field. 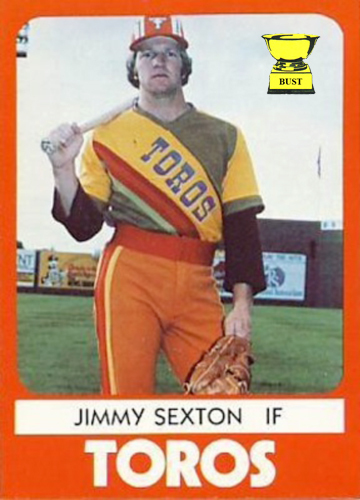 Really bold use of mustard yellow on those "jerseys"
Understandably, fans only watched the Toros' games on black-and-white TVs. Vertical stripes on pants? At this point, is anyone going to notice? 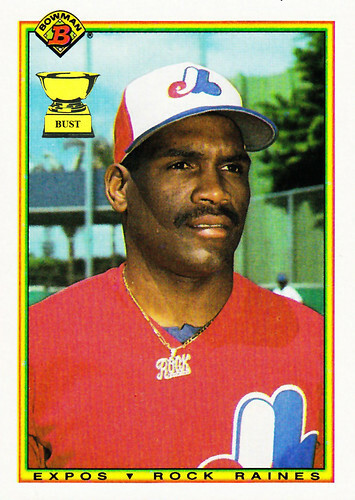 How did Tim Raines get the nickname "Rock," as enshrined on his obnoxious necklace? (A) Actually, he bought the necklace first and the nickname followed. (B) Cocaine is a helluva drug. (C) He spent his off seasons playing bass for underground Montreal heavy-metal band Les Mustachios. (D) He conceived a Hollywood script about the existential rebirth of a grisly convict whose seminal yet concealed accomplishment of breaking out of Alcatraz in the waters of San Francisco Bay would only be eclipsed by his success, with the help of Nicolas Cage (played seemingly without effort by Nicolas Cage), in a mission to save the world from nuclear warfare brought on by a renegade general and his team of mercenaries who have overtaken a national park in the waters of San Francisco Bay in their quest to obtain a $100 million ransom in the names of fallen comrades who died in covert operations throughout the world. So, just what does Pete O'Brien stand for? Batting practice jersey during a game? Sure, who cares about looking professional? Transcript from Calgary Cannons' promotional commercial, circa 1990: "Hey there, sports fans. (BOOM!) Oh my god, what was that? 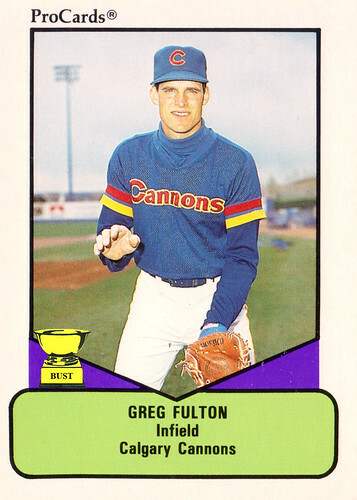 I'm, um, utility infielder Greg Fulton and I'm inviting you to come on down to Foothills Stadium for a game this season north of the border. Well, actually, if you're a Canadian, you're already north of the border. Ya see, I'm from Chattanooga, Tenn., so y'all seem strange to me. But I digress. (BOOM!) Jesus H., what was that? Anyway, the Cannons invite you to bring the family down to the ballpark to catch a game against some of the top Triple-A talent in the nation — well, there's not much baseball talent in your nation, but you can watch some pretty good Americans play the American pastime if you're not too busy cheering for the Flames. (BOOM!) Lord, what is that sound? I'm going to need a new pair of pants. If you attend a game this weekend we'll be giving out these handsome mesh jerseys Friday and these Chicago Cubs look-alike hats Saturday. (BOOM!) My ears! My ears! Um, well, I can't really hear the playback but I'll tell all you sports fans that if you can't make it Friday or Saturday you should come on down Sunday. We'll be (BOOM!) giving away (BOOM!) promotional (BOOM!) cannons (BOOM!) that you can enjoy at home (BOOM!) or take to a Flames tailgate party, eh? (BOOM!) I'm deaf. Lord, I'm deaf. 1) Well, pardon me. I should not have partaken in those delicious Mr. Pibbs while my teammates dabbled in prescription painkillers and powder drugs. Oh, my, I am so embarrassed. Please, forgive me, my good sirs, for this objectionable bodily function. You know what's coming: Pete LaCock had a hard time when he first broke into the big leagues. All too often, he couldn't perform at the plate, and his fielding usually came up short. His throwing arm was limp, and he couldn't get his head in the game. 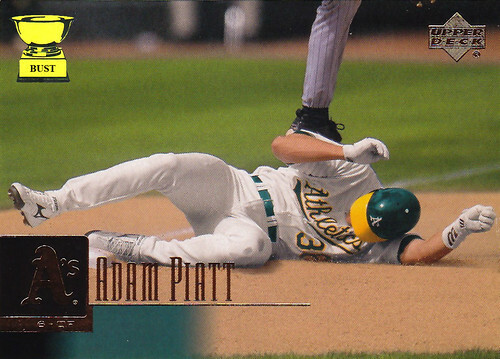 His rigid baserunning style left him with a throbbing injury after he tried to slide into home. He considered quitting and just taking his balls home. 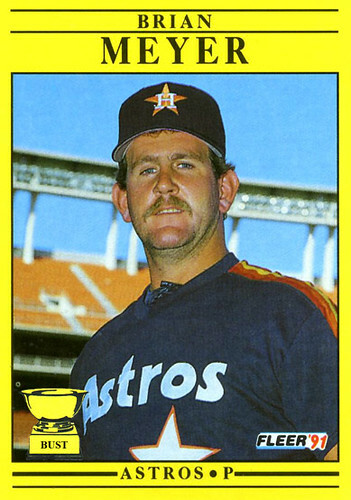 But with some poking and prodding by his manager, LaCock began to erect a solid baseball career. Those balls he had been swinging over started squirting through the hole and shooting into the gap. In the end, while LaCock was never a stud, he did wind up with a long, satisfying baseball career. Anyone sure this faceless wonder is Piatt? Mizuno wristbands, batting gloves, shoes, underwear, jockstrap, etc. The sad, true, and, finally, joyous story of Dave Stieb: Have you ever gotten incredibly close to something you desperately wanted only to fall short time and time again? Well, stop lamenting your missed opportunities. You've never been "stiebed" (and, for the record, you've never been immortalized in one of the 20th century's greatest art forms, The Diamond King, either). 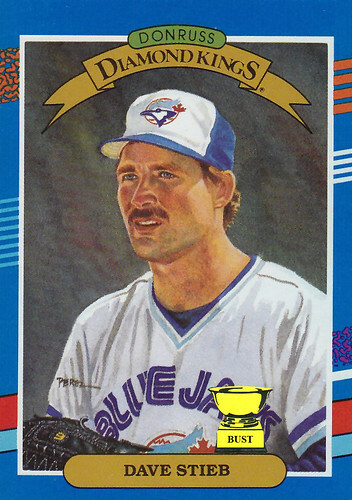 In the Year of Our Lord 1988, Stieb had not one but two no-hitters broken up late in a game. Make that two no-hitters broken up in the bottom of the ninth inning. Make that two no-hitters broken up in the bottom of the ninth inning with two outs. Make that two no-hitters broken up in the bottom of the ninth inning with two outs and two strikes. Make that two no-hitters broken up in the bottom of the ninth inning with two outs and two strikes in consecutive starts. Yes, that happened. To Stieb's credit, he didn't jump off a building or commit to a life of smack abuse. 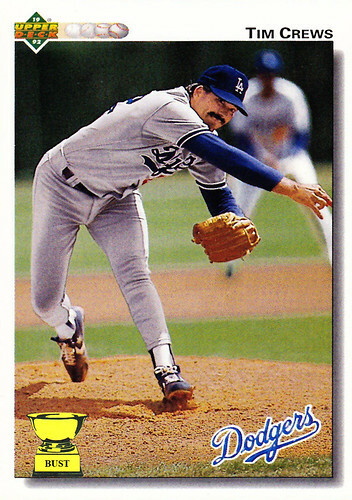 He kept pitching, and, alas, had another no-hitter — make that a perfect game — broken up with two outs in the ninth inning the next year, in 1989. Still, no smack. No building jumping. Not even a job offer to be a casino "cooler." He just kept pitching, and, on Sept. 2, 1990, he pitched his first no-hitter. 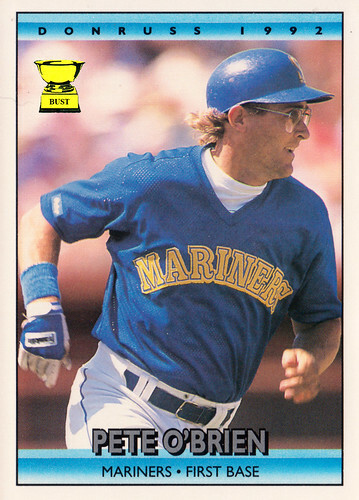 Finally, Stieb hadn't gotten "stiebed." Studio photog: "OK, Mr. Benes, I was you to look angry now. Give the camera your meanest look." Andy Benes: "Angry? Dude, I live in San Diego and make a living playing baseball. It's pretty hard for me to get mad." SP: "Just give it a shot." AB: "OK, here goes." (smiles into camera) "How is that?" SP: "Umm, that's not really what I was looking for. Here, what happens if we do a little role playing? For instance, let's say I'm the opposing batter. How do you feel about me?" AB: (Smiles into camera) "Whatever, you're probably not going to get a hit, and even if you do, who cares? San Diego rules! It's sunny and warm almost all year, and there are fresh fish tacos everywhere." SP: "OK, I'm the ump and I've just thrown you out of the game and called your mother a prostitute." AB: (Still smiling) "Sweet, fish taco time starts early! And everyone knows my mom's a saint." SP: "An abusive cop? A scuzzball politician? Hitler? Nothing?! Hmm, wait a minute. Let's say I'm the barber, and I have orders to trim up that fine mullet you're growing back there?" AB: (Smile falls off face) "What did you say? Look, mister, you take your unholy blades and get the hell out of San Diego, you butcher! Damn your eyes!" 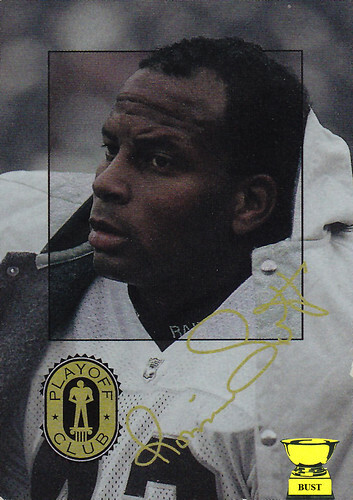 Why did the bouncer turn away Ronnie Lott from the Playoff Club? (A) He couldn't find Lott's name on the list based on the safety's third-grade signature. (B) A "no humongous jacket" policy had been enacted. (C) Lott, as seen above, was clearly intoxicated upon arrival. (D) Clearly, Lott was a square. What did Ernest Riles write on that kid's ball? (A) "Sorry for blinding you with my jersey, Joey." (B) "Sincerely yours, the esteemed Mr. Turtleneck." (C) "Thanks for the pen — the pen 15. Get it? Get it?" (D) "Freddy, you look like a better athlete than that punk in the yellow hat behind me." (E) "Thanks for telling me to block my bulge with my bat, Marty." 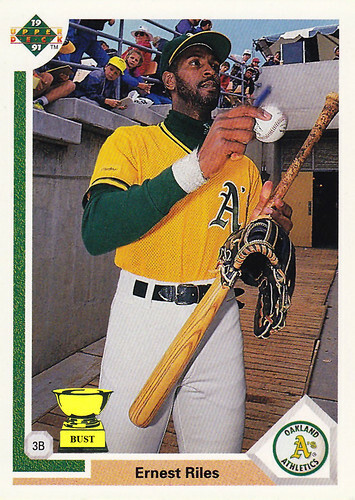 (F) "Sorry, I'm not Rickey Henderson." Blue jersey provides visual respite from the yellow assault of the card's border. Real possibility his undershirt is made of plastic. It might have been nice to shave for picture day, Bri. Also, get a haircut, you hippie. Mustache is longer than his big league baseball career. Ears are big enough to shade the rest of his face from the sun. Everybody else says the same thing. Reading his Wikipedia page takes all of three seconds. It's a '60s pop quiz: What's John Boozer doing in this photo? D) Showing off his "hands-free beer-removal technique"
Save for orca and, in some areas, polar bears, the Pacific walrus is at the top of the food chain. Save for galaxy-devouring black holes, and, in some areas, polar bears, Craig "The Walrus" Stadler is at the top of the food chain. The whiskers of the Pacific walrus are a highly sensitive organ capable of differentiating among minuscule shapes. The whiskers of Craig "The Walrus" Stadler are a highly sensitive mouth eyebrow capable of storing weeks' worth of food for later consumption. The blubber layer below the Pacific walrus' skin is up to 6 inches thick. The blubber layer below Craig "The Walrus" Stadler's skin is, uh, see previous. The Pacific walrus spends a majority of its waking hours seeking its preferred meal, the mollusk. Craig "The Walrus" Stadler spends a majority of his waking hours seeking his preferred meal, the meatball hero. Partly because of its size and distinctive appearance, the Pacific walrus plays an important role in many Arctic cultures, most notably the Chukchi. 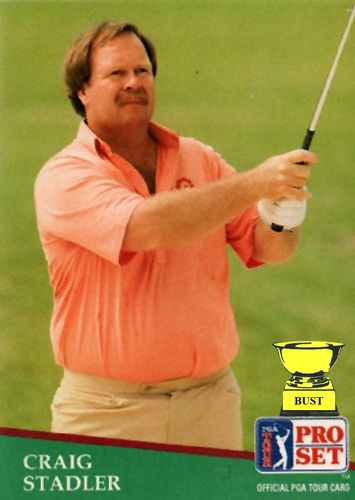 Partly because of his size and distinctive appearance, Craig "The Walrus" Stadler plays an important role at many PGA functions, most notably the buffet line. 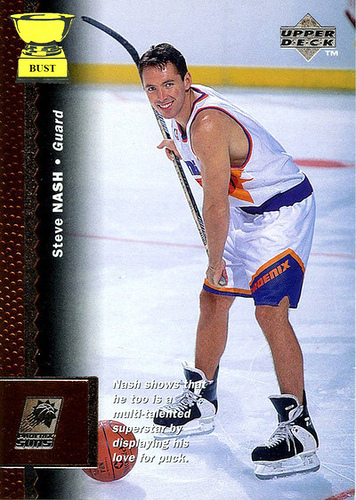 "Nash, age 15, sets himself up for a bout with frostbite by ice-skating in shorts and a basketball jersey. Kids these days!" "Nash shows that he too is not very bright by trying to shoot a basketball past a goalie into a hockey net." "Nash is seen just moments before getting cross-checked by the Phoenix Suns Gorilla. That's bananas!" "Hold on, they have hockey rinks in Phoenix?"